I'm here to share the latest release at Digital Delights. 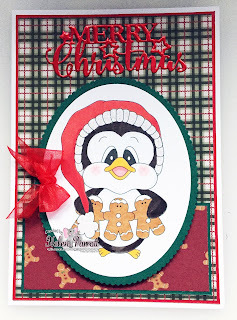 The backing paper is by First Edition and is from the Christmas Wishes 6x6 pad. 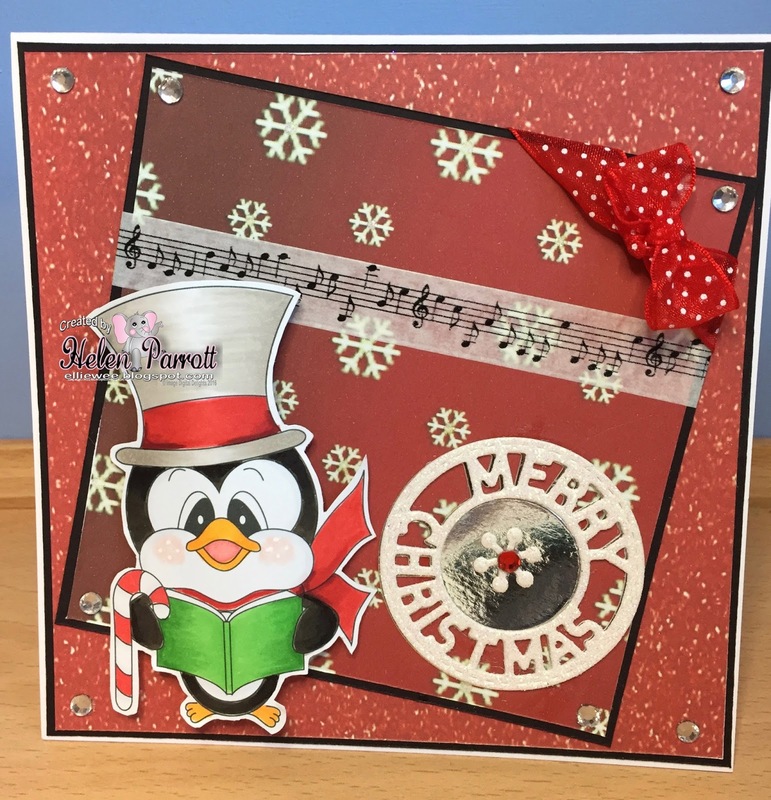 I've added a couple of mini crackers cut in mirri card. I got the die in my Tattered Lace advent calendar. I hope you'll check out the rest of the release. 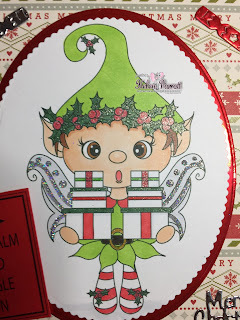 I've used the super cute Gingerbread Slippy, which I've coloured using copics. I've added glitter to the fur parts of his hat. 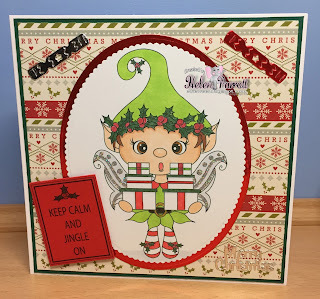 I've used a couple of different papers from an A5 paper pack called Jolly Santa by Andrea Jayne. 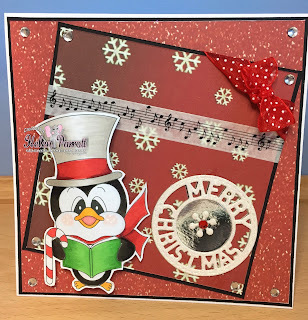 I've finished off with a lovely red bow and a sentiment cut in red mirri board using a Creative Expressions die. I hope you'll join us in the challenge. I've coloured with Copics with added glitter. The backing paper is by First Edition. I've added a few snowflakes and some twine as finishing touches. I hope you'll pop over and check out the rest of the release and also take advantage of the fabulous items on offer for fantastic prices. 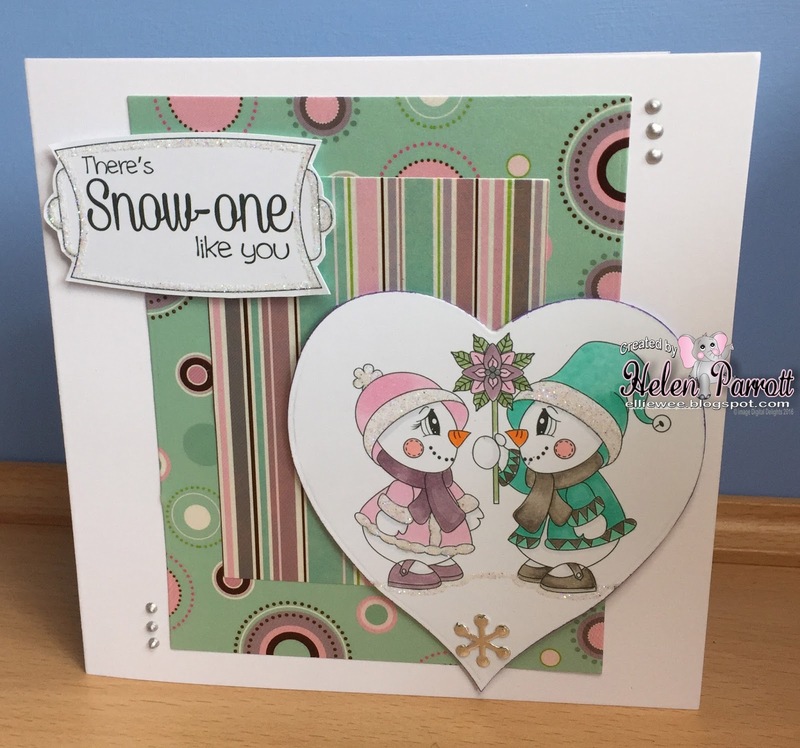 A new challenge has started at Digital Delights by Louby Lou. As usual it's anything goes as long as there's a stamp, either digital or rubber. He's called Caroling Slippy and you can find him HERE. I've coloured him using Copics and mounted him with glue gel, curving him slightly with a bone folder, to add dimension. The Berry Merry Christmas pack and the Sparkle & Magic pack. I've added some Washi tape featuring music as he's singing. 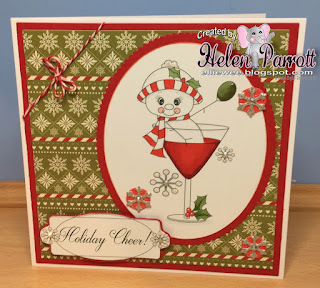 I've also added a bow, die cut sentiment in glitter card and some hot fix gems. I hope you'll join our challenge. 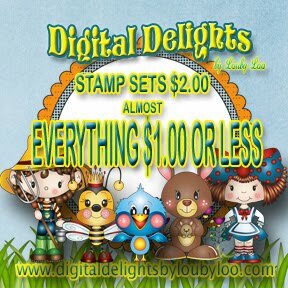 There's a new release at Digital Delights by Louby Lou. 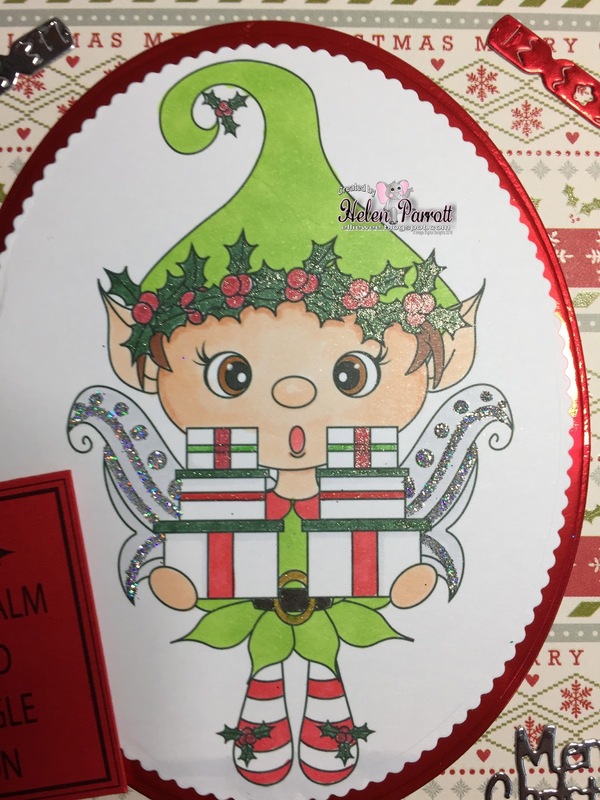 I've coloured using copics with added Glamour Dust glitter, applied with a Quickie glue pen. The papers are called Winter Wonderland by Crafts House and are pearlised. I've used liquid pearls for the finishing touch. I hope you'll take a look at the rest of the release by clicking on the link at the top. Thanks for visiting, I hope to see you again soon. There's a new challenge at Digital Delights by Louby Loo. I've used a cloud shaped die to cut out the sentiment (I think it's a memory box one). 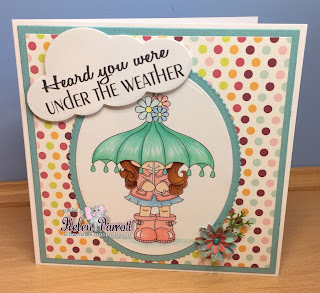 I've coloured her using copics, taking my colours from the backing paper, adding a handmade flower (made by my best friend Susie) as a finishing touch. Hopefully this would make someone smile if they were feeling unwell. Wendy has created some fab halloween images with backing papers to match. The image is called Zomberz and can be found HERE. It comes complete with the sentiment. 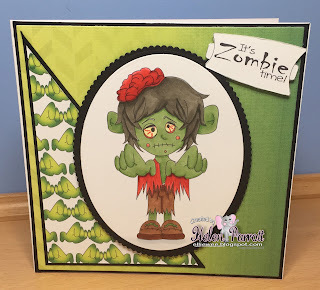 I've also used the Spookinz digital papers which you can find HERE. I've coloured the image with Copics and matted everything with black card from my stash. This would make a great invitation for a Halloween party. Make sure you check out the rest of the release...you won't be disappointed. I am a married mother of 2 lovely daughters, Rachel and Nikki, and proud owner of a yellow labrador called Lisa. I have been very happily married to Ted since October 2006. I've been a target member at Slimming World since February 2011. 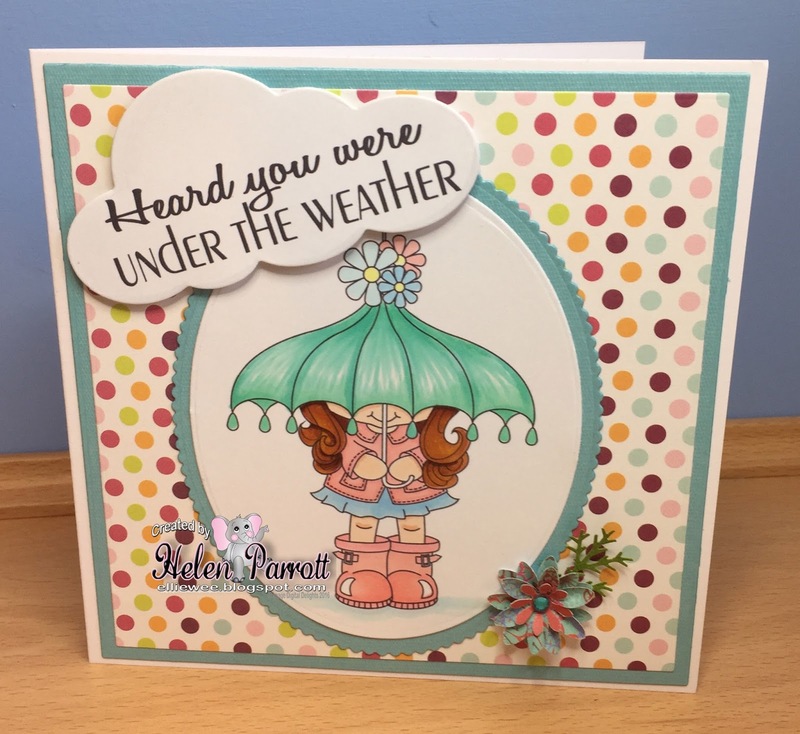 I've started this blog to improve my card making, share my cards and connect with other card makers.